Engineering Services - Denver Power Contracting & Services W.L.L. 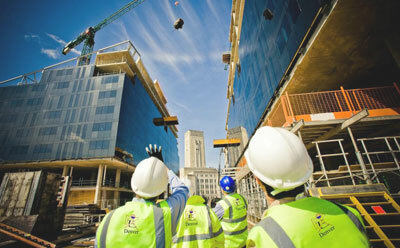 DENVER engineering is a well-known organization providing reliable services for Building Industry. We specialize in building design, construction and maintenance. We cover the entire spectrum of activities from Initial Green field survey to final handover of the project and subsequent maintenance. Our activities include Preliminary Survey, Liaison with various agencies, obtaining necessary permits & approvals for construction, Engineering for Mechanical and Electrical systems, Construction, Testing & Commissioning and final handover. 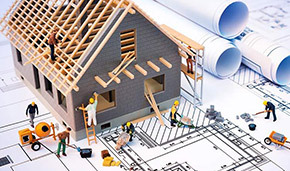 In short we are a one stop solution for Building Industry. We undertake projects on EPC basis. Alternatively we execute projects where our scope is limited to only Procurement, installation, Testing & Commissioning and handover based on Client’s Design and specifications. You can count on DENVER when it comes to Engineering of MEP systems. With a team of KAHRAMA & QCDD Licensed Grade “A” Engineers and MMUP certified Engineers we provide the following Engineering services. Since its inception, DENVER has played a crucial role in the transmission sector. We provide services like initial survey, feasibility report, Engineering calculations & layouts, Permits & approvals, Construction, commissioning and handover of Transmission lines, towers and other distributing systems. 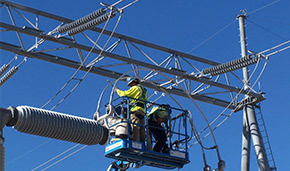 We undertake the responsibility of new transmission line projects and also maintenance of existing transmission lines. We have a team of specialists with extensive knowledge & Domain expertise in the field of designing and installation of overhead transmission lines and underground power cables. With a team of experts in the field of Cable Installation, DENVER offers our clients complete installation services for all kinds of EHV UG cables. We offer our services including earthwork, Cable procurement, installation, jointing, termination testing & handover and reinstatement works. We have all infrastructures to carry out this kind of projects including Equipment, tools, Tackles, testing apparatus and a skilled workforce to meet the required safety and quality parameters. As an Experienced Electro – Mechanical Contractor DENVER provides service in the electrification for both domestic and industrial sector. We offer our services for the entire spectrum of electrical works ranging from Transformer and Substation to small power & lighting. 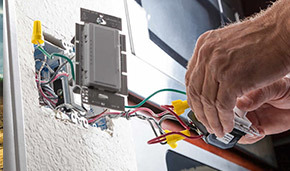 We undertake retrofitting and modification works including dismantling of existing systems, retrofit / installation of new systems, testing & Commissioning and subsequent maintenance of systems according to standards. Our HVAC wing offers services from system concept, Heat load calculations, Engineering Centralized / District cooled systems, Equipment selections, installation, testing & commission. 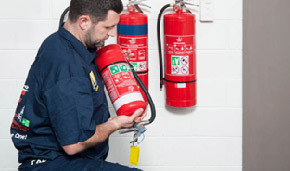 We also provide services to smoke Management systems, Kitchen Hood Exhaust systems, Car parking ventilation and other special ventilation requirements. 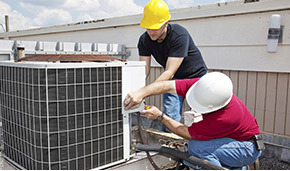 We also offer services for Maintenance of HVAC system including Equipment like Chilled water pumps, Pressurization units, fans, AHUS, FCUs and Split ACs. 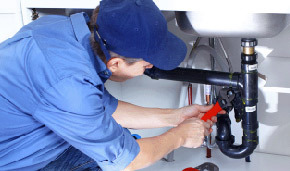 We have long years of experience in the area of water and waste water engineering. We proffer comprehensive water and waste water management solutions. Our specialists concentrate on all the related areas such as designing, planning, renovations, flow measurements and system modeling and analysis. We are equipped to serve you in the entire sanitation infrastructure such as water pipelines, pumping stations, waste water treatment plants and storage tanks. We undertake all operations and maintenance. Denver have QCDD Licensed Grade “A” Engineers and we offer our services for Design, Engineering calculations, obtaining approvals, installation, testing and commissioning and obtaining final approvals from authorities for FS, FF & FA systems according to relevant NFPA and QCS standards. 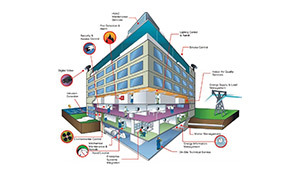 DENVER engineering provide expert services in Engineering & Maintenance of Building Management systems from simple monitoring systems to IP based remote control and monitoring systems for Substations & Equipment like Panels, Chillers, Pumps, AHU, FCU, Exhaust fans, water tanks, Lighting control, Fire protection systems, Fire alarm systems etc. We provide Services for other ELV systems like Access control and security systems, Data systems & UPS. Public Address, SMA TV and IP TV.